I remain hopeful that I keep trying to deliver quality while observing that, as we wrote in the introduction to some Blasts From the Pasts! that we prepared to protect the schedule while vacationing, the Prime Directive of Blogging reads: Thou Shalt Blog Daily! Blog quality. In the eye of the beholder, of course. I am not a journalist. Don’t play one on TV. Whatever news I deliver is derivative. I attempt to add value by spotting something that you might have missed; and/or by placing the news in some kind of context, even if it’s merely my own slightly skewed view of this very weird universe. As a result of this effort I’ve become a much more informed person, even as I try to keep up with a globe that seems to be spinning faster each day. I’ve always had some information, and for certain I’ve always had the point of view. Thanks to this wonderful new medium, combining the two has become a daily education for me; a most unexpected, and welcome outcome. As I write this, WordPress tells me that this site has been viewed 12,856 times over its lifetime: about 35 times per day on average, for the 366 days since startup. Lately, the trend has been up, more than 50 hits per day. Faithful reader, you are part of a very, very selective community. With millions of citizens of the web having billions of pages per day to look at, about 54 of you stop here at this nanocorner of the ‘Sphere©. Wow! Yr (justifiably) humble svt thanks you most humbly! I guess I would keep writing regardless, but I am grateful for the attention and the very occasional comments left behind. And I certainly have enjoyed expanding my own world view by reading the fascinating writing of people I never would have encountered without the good offices of BlogExplosion.com and FuelMyBlog.com, and BlogCatalog.com. 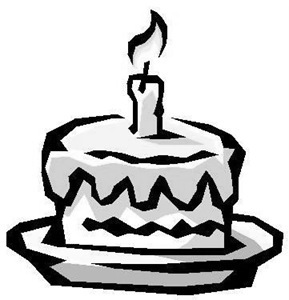 So, I recognize all too well that a birthday (or a “Blogoversary“) actually occurs on the first day of the next year. Ready or not, Year Two begins! This entry was posted on Wednesday, May 7th, 2008 at 7:57 pm and is filed under Blogging, Internet Culture. You can follow any responses to this entry through the RSS 2.0 feed. You can leave a response, or trackback from your own site. 5 Responses to mm372: Year One: Done! Happy Blogoversary! Thanks for stopping by Roxiticus Desperate Housewives to celebrate our 10,000th visitor and 300th post milestones. Raise a glass to both of us! I’m trying to decide whether my blog is approaching its 3rd blogoversary in August, or whether I should celebrate the anniversary of when I got serious about blogging (late January 2008). I took about 2 1/2 years off when I was too thin-skinned to deal with some mean bloggers. Now that I’m back in the blogosphere, I’ve found most everyone is nice and supportive. While I’m not one to skimp on a celebration and I could certainly celebrate twice each year, I’m leaning towards January 2009 as my first blogoversary…after all, I “re-set the counter” on my SiteMeter this year. Please drop by and share your thoughts. Keep up the blogging for another terrific year! P.S. — I haven’t seen you in the Battle of the Blogs lately…where have you been? Hi, Bree, thanks for the good wishes. I think one shouldn’t skimp on reasons to celebrate, so celebrate early and often. About that Battle of the Blogs thing. I’m in a 0-20 slump I think; while that reinforces one’s view of the world, it still is quite demotivating. I don’t think BE has enough digits in its rank counter for me! It isn’t my best work but here are my delightful comments respecting which are a quite useless enlargement of my portfolio.